About a year ago I made a mod for FTL that adds the Kodiak to the game. I also have another lager mod planned should I work up the motivation. FTL was a pretty good way to learn the basics of modding and photo editing. Also, I may end up playing with Hyperspace Admirals a bit when it comes out. It would be awesome to see a full-on C&C mod for HA if someone else here took an interest in it. Never heard of that game, but from a quick glance on the homepage it reminds me on the old DOS game Planets Edge. 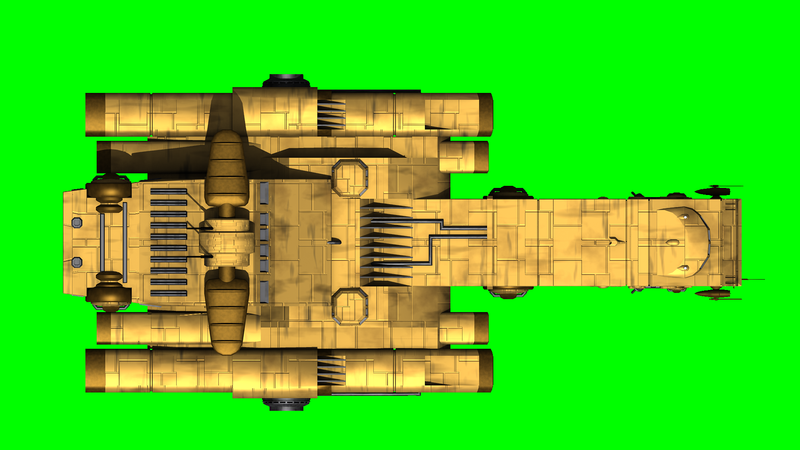 Do you want a top down render of my Kodiak for a higher resolution image? This picture is already in the art style of the game, but I'd be interested to see exactly what the Kodiak looks like from that perspective. Maybe it could help me add some more detail. Note: This model is the same that I used for the building, so the texture details like metal panels are bigger than they should be, to make them better visible in the small ingame size. You sir are definitely more artistically skilled than I am. Thanks for this, I'll see if I can put it to good use.